As the question states, I would like to know what is the largest winery that supplies sacramental wine for the Catholic Church? By largest supplier to the Catholic Church of sacramental wine, I mean by volume sold to the Church in liters/gallons? Is there such a thing as dedicated sacramental wine? After a bit of research, my own conclusions are that it is simply wine. The Catholic Forum also had this to say. Thus I believe that it is difficult to answer as possibly the wine could be simply purchased. A lot of people don't realize this, but there's nothing particular that makes altar wine "altar wine". The wine for the Precious Blood must be true wine, made from grapes, and have no additional sweeteners or flavorings, or preservatives (beyond a bare minimum), or anything else. The vast majority of wines available on the shelf might potentially be used as altar wine. The only difference is that a competent authority in the Church has certified this wine for use at the altar. That's a long way of sayiing that vintners produce a line of wine and most of the bottles get "regular" labels, and some of them get "altar wine" labels, but the product inside is identical. It might already be on the shelf at your local store, but it's just not labeled the same. So you could contact the winery, ask who their distributors are, and buy all you want. A very few wineries cater exclusively to Catholic churches, so you might have some difficulty getting them to sell it to you--not because they can't but simply because they don't have any method of selling to a private person. 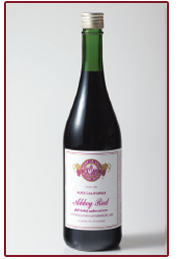 The nation's largest producer, the Mont La Salle Altar Wine Company in the Napa Valley of California, makes a rose of petite sirah, zinfandel, ruby cabernet and cabernet sauvignon. I love the screw cap! In the Land Down Under, the Sevenhill Cellars is the only winery in Australia specializing in sacramental wine, and the only one recommended by the Catholic Church to be used in Mass. Easter is a busy time of year for the oldest operational winery in South Australia’s Clare Valley, Sevenhill Cellars. As Maria Tickle writes, the winery supplies the bulk of the sacramental wine for Australasia, pumping out 90,000 litres a year. The winery’s story began in 1851 when a group of Jesuit priests bought 100 acres in the heart of the Clare Valley and named it Sevenhill, hoping to create a Catholic cultural centre akin to the Sevenhill district of Rome. The Jesuits started a winery that began supplying sacramental wine to the surrounding parishes in 1858. Brother John says his sacramental wine stacks up rather well even on the international market. 'I’ve even actually tasted the altar wine which they sell in Cana of Galilee, where the Lord changed the water into wine, and I’ve tried that wine, I prefer ours,' he says. - Clare Valley winery Sevenhill Cellars produces a heavenly drop. All three types of their Altar Wines are made in accordance with Canon Law.